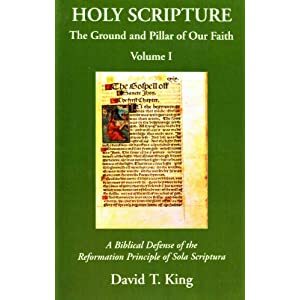 On Wednesday May 19, R.C. Sproul will be on the Iron Sharpens Iron radio program. 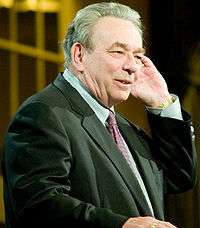 Dr. Sproul will discuss Tough Questions Christians Face (the theme of Ligonier Ministries' 2010 National Conference). Iron Sharpens Iron is a live broadcast airing daily 6 to 7 P.M. (Eastern Standard time) on WNYG 1440 AM in the New York City area. You can listen live to WNYG here over the Internet. Tune in at 6 P.M. to hear Chris Arnzen interview Dr. Sproul. You can also call in to Iron Sharpens Iron with your own questions during the first half-hour of Dr. Sproul's interview (6 - 6:30 pm) at (631)482-8300. If you miss the live broadcast, a free archived mp3 recording will be available shortly after the broadcast at sharpens.org. Free mp3's of previous Iron Sharpens Iron show are also available, many with Dr. James White.